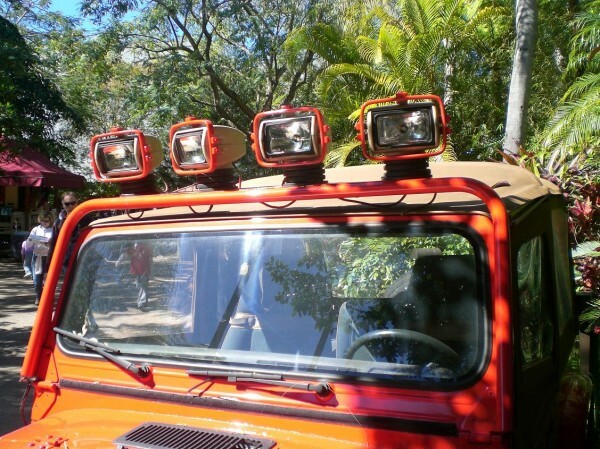 The search lights used on Jeep #12 are Jabsco 135SL fully motorized search lights. Their most common application is on boats and RVs where directional light can be important. They are still available from Jabsco through retailers and distributors and generally retail for $200-$250. However a deal can be had through eBay to find them for closer to $100 from time to time. The Jabsco lights on the Jeep were modified with a corrugated rubber tube along the stand, and a rounded metal “brushguard” around the main housing.